Bridge the gap and get your products in-market. 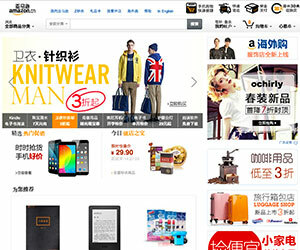 Did you know that China holds the biggest eCommerce market in the world? In terms of the total number of transactions as well as online purchasing power, it can’t be beat. If your business is looking to sell your products online to China, you will either need to set-up your own standalone eCommerce store, or use a 3rd party platform such as Taobao, Tmall, JD.com or an Amazon China store. At Sheng Li, we can support your business with this process and connect you with our trusted partners to facilitate and expedite the set-up of your eCommerce store in China. We’ll assist with the market research, planning and facilitation of the set-up process as well as the integration into advertising campaigns when your eCommerce store is ready to launch. Every day, the landscape is shifting dramatically as eCommerce retailers flock to this rapidly expanding marketplace. Our team is located in New York, with partners here and in Los Angeles, along with many connections into China. Our multi-cultural team is able to facilitate market entry of Western brands into China online – we can help you ease into doing business in China and prevent early costly mistakes.